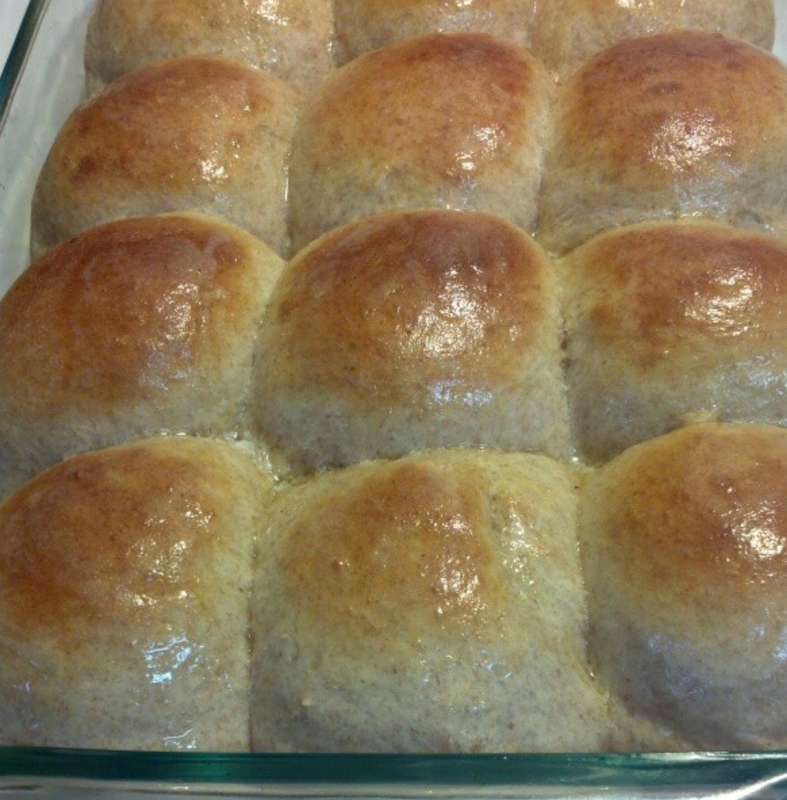 These rolls are super easy to make. If you need gluten free, use my GF flour mix. You can buy sprouted wheat flour online- I like Vitacost.com for most of my flours. 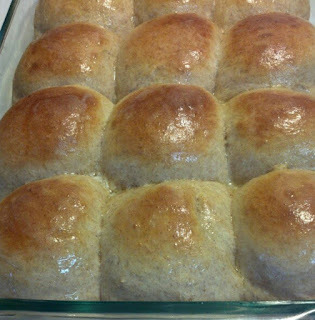 The xanthan gum is a necessity here- it helps the rolls rise, and stay soft. You can mix these by hand. Pour water into bowl of your stand mixer, add yeast, flour and eggs, mix a little, add oil. Mix a little more. Add salt, vinegar, xantham and mix with dough hook for 8-10 minutes. Dough will be sticky. Remove bowl from stand mixer, cover with plastic wrap or damp towel, and let sit in warm place until doubled in bulk. Turn dough out onto floured counter, and roll into log. Cut the log into 24 equal pieces (cut in half, then each half in half, over until you get the 24 equal pieces. Then divide each piece in half. Grease a large baking pan with olive oil, and roll each ball into a nice smooth shape. Place into the pan. Cover with damp towel, and let rise until doubled. You can also refrigerate them covered, for no more than a day. Preheat oven to 400. Bake rolls for 10-15 minutes until golden. Brush the top with olive oil or my vegan butter. What type of vinegar do you put in your bread recipes? White?